There are times that you will need to merge audio files for your convenience. For instance, you might want to make a compilation of songs in order to play them back-to-back without any pauses. Aside from that, you may also join lecture files into one for future listening, or combine incomplete tracks into one complete song. Luckily, all of these can easily be done with the help of the specific tool. In this article, you’ll be able to discover great applications for merging audio tracks. Three methods are provided for you below, just choose the one that you need based on the actual situation. Apowersoft Free Online Audio Editor is an online tool which specially designed for editing audio with the help of internet connection fast and easily. This tool will let you merge MP3 online, cut, trim, and mix audio files rapidly. 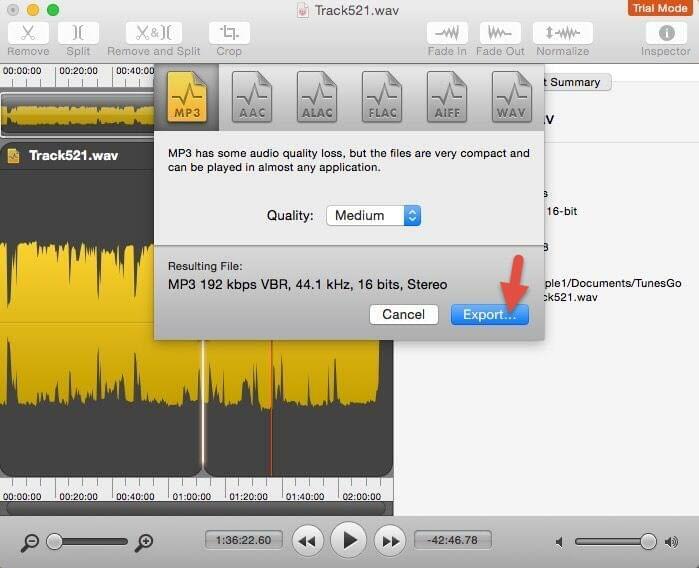 Moreover, it allows to export audio to lots of formats including MP3, OGG, WAV, AAC, FLAC, M4A and etc. In this case, you can merge and edit audio using it within just a few clicks. Visit the page of free audio editor on Chrome, Firefox, Safari and other browser. On the page, click “Launch Application” button and then “Download Launcher”. No worries about it, the launcher is only required to download first time when using the tool. Once downloaded, install it instantly, and the free audio joiner will activate. Click “Please load an audio file” tab, browse your folders and import the file that you want to edit. Next, click on “Tools” – “Append audio files” to insert another audio right after the first file. Repeat this step, you can merge more files into one. You may save the newly created file by clicking the “Export” icon on the lower part of the interface. Choose the format, quality, and the folder where you want it to place the audio. Additionally, you can also listen to the merged audio while editing to check the effects. 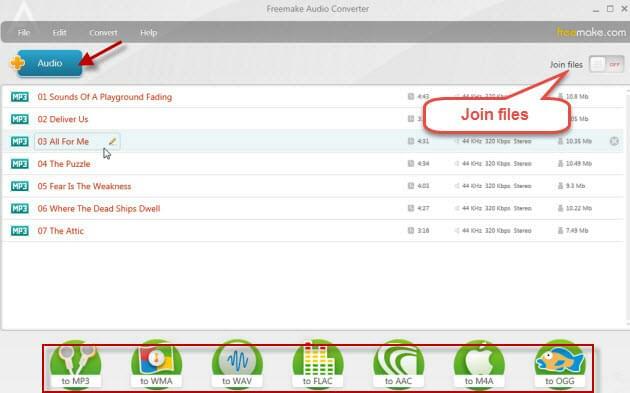 Freemake Audio Converter is basically a desktop tool that helps to convert files for MP3 players, Apple gadgets and other mobile phones. However, it is a cool program to merge audio files as well. It doesn’t matter if the files that you are merging are in different formats, the program can still manage to join them together. Download the audio converter and install it by following the instruction. Open it on the desktop, hit “Audio” tab to add all the files that you want to merge together. In the upper right corner of the main interface, enable the “Join Files” option. Select the output audio format, and then simply click “Convert” to start merging sound files. Note that when installing the program, it will let you install other apps and ads toolbar. To get rid of these useless tools, just uncheck the corresponding options. After downloading and installing the software, open the files that you want to merge in the tool. If you import two files, they will be opened in 2 different windows. 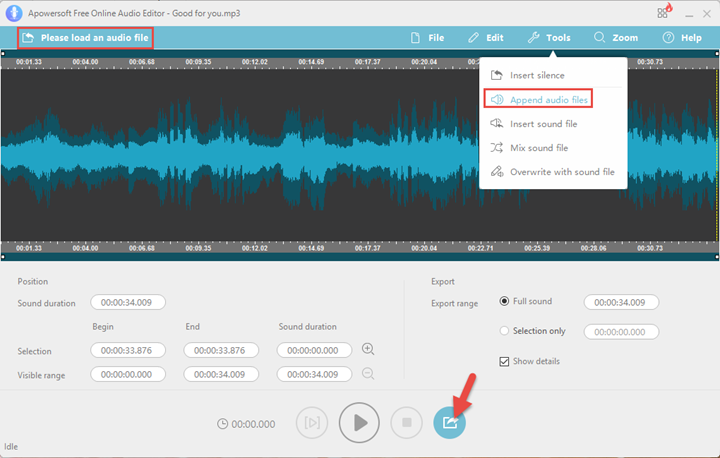 Select the point on the first clip where you want to insert the next audio file and then simply copy the second clip. Paste the copied clip to the point where you selected in the first clip. Drop down “File” menu and then click “Export” to save the merged file. This software is efficient when it comes to merge sound clips because of the stable speed. However, it is not so easy to select the accurate time to place the merged clip since the software doesn’t support to enter the time manually. All of the methods above will surely benefit you in accordance to your need. The first free audio joiner is highly recommended for it is simple and effective, and has no limits. It is special suitable for the ones who don’t like to install extra programs. Freemake Audio Converter will attract the users with its intuitive interface and a wide range of supported formats. For Mac users, Fission maybe a reliable choice for it can merge MP3s on any Mac operating systems with ease.